The difference between a modern APS-C and a Full Frame camera is negligible. If a camera offers you want you want don’t worry about sensor size. Because of the larger sensor size, the sensor would have a larger photosite (part of the sensor that gathers light to create a pixel). These larger photosites would mean less read noise on the image. Basically speaking. FULL FRAME CAMERAS ARE LESS NOISY. Modern sensors have reached a point where you can get decent images up to 12800iso or (depending on how fussy you are) even higher. Certainly 6400iso is usable. Even in cameras like the full frame 50MP Canon 5Ds(r), the 44MP Sony a7rII and the 36MP Nikon D810. Noise even on these huge MP cameras is still very good at a per pixel level. Therefore a lower MP crop camera will have the same high ISO performance. A typical 24MP modern crop camera is using the center part of a modern 36MP camera. So the read noise will be exactly the same (assuming the same technology is used). However, I will say this. A higher MP full frame camera can always have the image reduced in size. The result is even less noise. So they still retain a slight noise performance advantage, but doing this process negates the next positive of Full Frame cameras. 2. Full frame can have higher resolution. Because the sensor is bigger, there’s more space to put photosites. Therefore, using the same sensor technology, you can fit more of them in. This (as mentioned above) is great because you can reduce the size to reduce noise. Also it lets you print larger. This used to be a huge advantage when cameras averaged 8MP. I will admit there are some people out there who might need 36MP or above. However, most people don’t need such a high resolution. However, realistically a modern 24MP crop camera is more than enough resolution for most people’s needs. I remember shooting for the YMCA in Hong Kong. We were shooting on our fairly new 21.1MP full frame 5D Mark II cameras. We were so proud of how big we could print with these megapixel beasts. 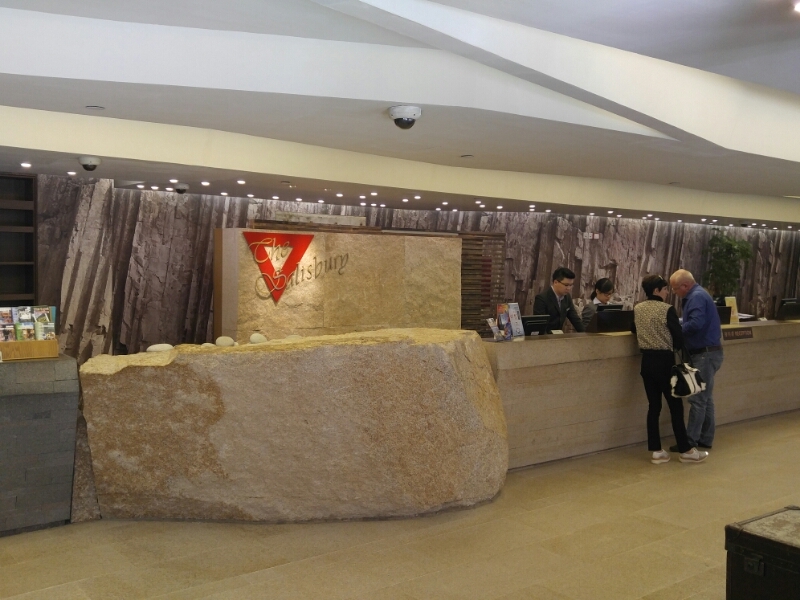 In fact if you go into the YMCA in Tsim Sha Tsui (Kowloon, Hong Kong) you can still see one of the images we shot behind the front desk workers. It was printed billboard size and used it give the background a rock like feeling. A modern crop sensor has an average of 24MP these days. That’s even more resolution than my old 5Dii. If that’s not enough for you then sure a full frame will be better. But for most, 24MP is more than enough. One area where full frame shines is they offer a shallower DOF compared to a crop camera. In fact it’s about one stop difference (so a lens shot at 2.8 on a crop will have a DOF like a lens shot at f4 on full frame, note this doesn’t effect exposure. The lens is still letting in f2.8 level light). This can affect the appearance of the image and the amount of background blur. Which could mean a more pleasing image depending on what you’re shooting. Most of the time the difference is minor though, certainly in blind tests it is hard to tell much of a difference. However, if that minor difference means a lot to you go for it. Buy a full frame. Lastly there’s the old “full frame lenses give you a wider view”. Which is true. Crop cameras can’t match the “wideness” of a Canon 11-24mm or a Nikon 14-24 on full frame/FX. So if wide angle shooting is your thing consider a full frame too. However, it must be noted that a crop camera gives lenses more reach at the telephoto end. So depending on what you want, crop may be a better choice. Certainly it’s easier and cheaper to stitch a couple of shots together for a wide angle than it is to buy a longer lens. Unless you really need more than about 24MP (not many people really do if they’re honest) or you really like to crop (then why not just get a crop camera ;)) perhaps I should say you really want to option of being able to crop. There’s no real advantage to using full frame over crop these days. I will admit that generally noise on a full frame is slightly better. But these days it’s really a wash with crop cameras coming out that can shoot 6400iso without too much of an issue. DOF and field of view differences are personal choices and could matter to you. Certainly this is less of an issue with a company like Fuji who make lenses purposely to give a similar range to a full frame camera (ie the 10-24 is similar to a 16-35mm on full frame, the 16-55 is close to a 24-70, the 50-140 is like a 70-200). However if you really want to go very wide, full frame is a better choice. So overall, it’s up to the individual. There’s certainly no “wrong” choice and certainly crop cameras aren’t worse than full frame anymore. Just different.